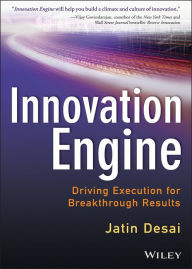 Best Innovation Management Books available on Amazon in Hardcover and Kindle edition. The DeSai Group is an Innovation Management consulting firm, helping clients build sustainable innovation capabilities for continuous growth. Using our Strategy Driven InnovationSM (SDI) Execution Methodology we help clients build and sustain innovative organizational climates and cultures. Here are some of our favorite authors. Alan Axelrod, Jacob Goldenberg & David Mazursky, Paul Sloane, Bettin Von Stamm, Robert Epstein.